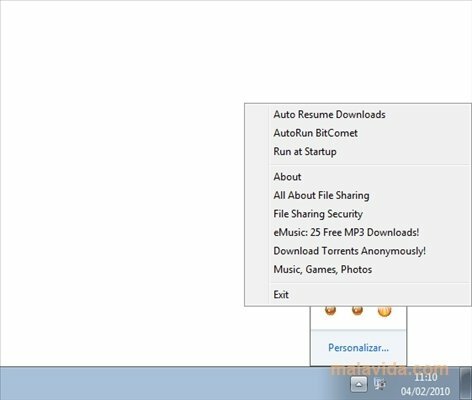 BitComet is one of the best known and most simple clients to download over FTP, HTTP and, clearly, the BitTorrent protocol. The program offers everything necessary to obtain all the files that we want over the Internet, from the integrated search engine that's capable of using DHT to be able to avoid the protection system of many private trackers. 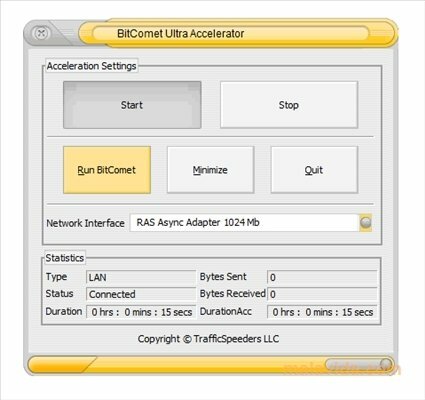 If we want this application to work much quicker than before, but we don't want to spend hours configuring ports or modifying each one of the parameters of our connection, we can use BitComet Ultra Accelerator. It's a small utility that, through an extremely simple interface, allows us to find more sources for each searched file, automatically resume paused downloads, optimize the connection configuration and eliminate those erroneous files that are only an obstacle for the proper functioning of the application. 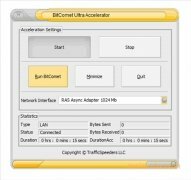 Get hold of BitComet Ultra Accelerator now, and add that little bit more of speed that you miss in this popular download client.